Home made burger patties for me are the best way two have the best bar-b-que at home. The more you venture out into creating for signature dishes, finding that special flavor that the whole family remembers and ask for takes a little bit of adventure. 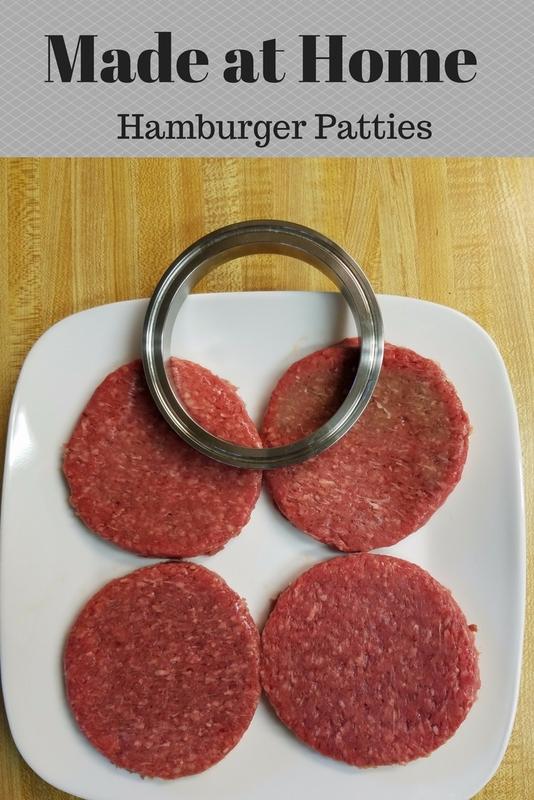 Made at home burger patties are a great place to start on that venture. Like most people I started out with plain beef patties from the frozen section of the freezer section in the grocery store. As time passed on I needed patties that I could do more to other then putting seasoning salts and pepper on as they were cooking. Divide into four equal amounts; roll each one in to a ball. Flatten and shape in to a round patty. I use a ring to form mine. Crust freeze for 1 hour, Pop them on the grill when you’re ready. The crust freezing help the patties keep there shape. I don’t remember who turned me on to using a dry soup mix but that was a start. Now I pay more attention to the different flavors that I get from different soups and dry marinades. This is a key point, dry mixes. If your meat mixture gets to wet thy do not hold there shape when your cooking them and you will end up with a mess on the grill. Want to change it up? Substitute the French soup with a Grill Mate marinade from McCormick, I like the chipotle pepper and the mesquite mixes the best when I am looking for a different flavor. If your new to the grilling world there are two basic choices for grills; either a gas grill or charcoal. Each has it advantages and a lot of people have both types.